Develop technologies and settle worlds to build a space empire. Find winning card combinations! 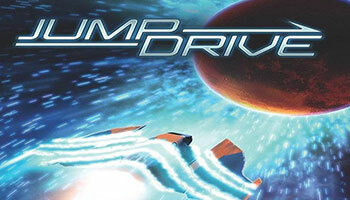 This fast paced game introduces players to the Race for the Galaxy universe. Players place cards to build their empires, discarding other cards to pay for them. Cards placed score every round, producing points and card draws. You must balance your income versus gaining points. The game ends once anyone has 50+ points. The player with the most points wins!